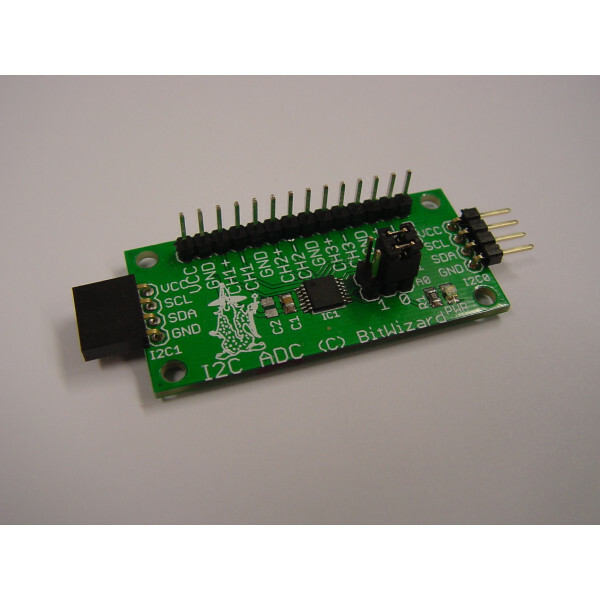 This is a small I2C breakout board with the MCP3424 chip from Microchip, providing you with 4 differential ADC channels (which can also be used in single-ended mode). The PCB is equipped with two I2C connectors, so chaining multiple I2C modules is an option. This allows you to control this board with only 2 data lines (SDA and SCL). This makes it possible to chain multiple modules without the need for more IO pins! The board can be used with all microcontrollers, such as the Atmel AVR, Arduino/Freeduino boards, Microchip PIC, etcetera. 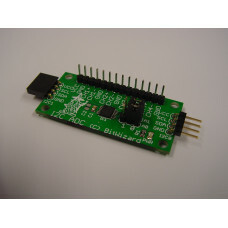 Other computers/boards with an I2C interface (such as the Raspberry Pi) should also be able to control this module.